#GivingTuesday, the global day of giving celebrated on the Tuesday following Thanksgiving, is just around the corner. Is your nonprofit ready for what could become its most important fundraising day of the year? Whether your organization is brand-new to the movement or a seasoned veteran, it’s not too late to maximize your nonprofit’s #GivingTuesday fundraising potential by incorporating matching gifts, corporate partnerships, and other collaborative and creative efforts into your campaign strategy. Join the Early Learning Lab and Julie Sweetland from the FrameWorks Institute to explore how to make a stronger case for early STEM experiences. A FrameWorks research into American public thinking revealed that people assume that science, technology, engineering, and math are highly specialized areas of knowledge that aren’t appropriate for young learners. In turn, this limits public support for the policies, funding, and programs that can foster early learning in these vital areas. We'll discuss and explore proven, practical ways for early childhood advocates to talk about why and how early STEM matters. 7) What’s a Mission Statement Worth? Could your mission statement describe any of several other organizations that are similar to yours? Do you just haul it out once a year for your annual report and 990? If you've been around for many years, you're clear about your nonprofit's value to your community, your stakeholders and/or your cause, why bother to revisit your mission statement? The answers to these questions can make the difference between sustainable success and failure in several ways. Organizations that have a page-long mission statements and think that any effort to review it would be just empty wordsmithing may want to join us for this webinar to see what a rigorously crafted mission statement can do for marketing, fundraising, stakeholder loyalty, strategy, and managing change. Why it's worth editing your mission statement--and how to do it. What's in a good mission statement, and what's not. How a good mission statement forms the basis for strategic decisions. How to measure your performance against your mission statement, and why that's valuable. Join us to learn how your board members can best help you fundraise during the year-end giving season—and how to get them excited about it. Believe it or not, your board members WANT to help—they just need a little guidance as to how they can use their time for the biggest impact. Does the word, networking make you break out into a cold sweat? Does the very thought make you want to run and hide? You are not alone as, for many, these reactions are not that far-fetched. Our free webinar is here to help! To help ease your concerns, let's reframe the entire concept of networking and use semantics to our advantage. Instead of the term networking, we'll refer to it as chatting with people. That is really what networking is, chatting, and it can take place in many contexts: over coffee, in line at the grocery store, online on a social media site, or in a formal setting at a business event. Any place, any time. 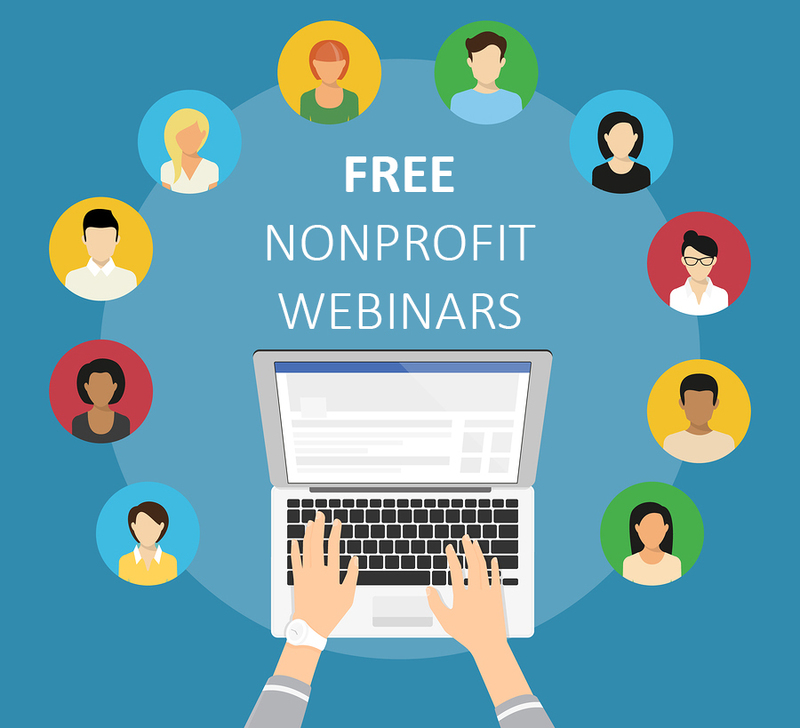 Our next free webinar will give you the tools you need to reduce your anxiety about networking and to make these chats both effective and enjoyable. Learn ways to can expand your network – and have a great time while doing it! Six tools to increase audience engagement. How to double online giving. The power of mobile website design. 8 levers determine the difference between so-so and success in sponsorship. The stronger your team’s performance, the stronger your sales, especially when sponsors seek you. The #1 way to create compelling value for your sponsors, practically guaranteeing sales. With Microsoft’s Power BI, you can monitor key metrics, spot real-time trends and create personalized dashboards without being a data expert. Join Tech Impact's Jordan McCarthy to learn about this free data visualization tool from Microsoft. Jordan will discuss some of the basic features of Power BI, including importing data, tips on creating queries, and getting started building dashboards and visualizations. This webinar is for new users of Power BI or those interested in brushing up on the basic functions and features of the program. Is your organization stuck in the special event mode? Does your board refuse to accept their fundraising responsibility? Does the rest of your organization’s staff wonder what the development office actually does all day? Is your organization dependent on grants as its sole source of funding? Have you wondered why your development plans do not get implemented? If so, this webinar is for you. In this webinar, we will discuss the reasons a development plan can help assure success in your fundraising efforts; how to involve your organization's leadership, both staff and volunteers, in the process; how to assure that the plan will be implemented; and how to evaluate success. Participants will be receive a template for creating their development plan and a learn how to ensure it gets implemented. Based on the book, The Development Plan, written by Linda Lysakowski, ACFRE, published by Wiley Press and the upcoming CharityChannel's Quick Guide to Creating a Development Plan, this webinar will teach organizations how to develop a plan that works! This training is your step-by-step guide to crafting a website plan and turn website visitors into supporters. We’ll walk through the key strategies that you need as part of your plan, along with specific action steps that you can implement - immediately! This training is perfect for nonprofit communicators, marketers, fundraisers, and anyone whose job description includes updating the website! Are you currently creating and sharing content for your organization? If so, you won't want to miss our upcoming free webinar! Content marketing is a long-term, resource-intensive investment. But when you build connections and relationships thoughtfully, your readers and audiences have the potential to become your nonprofit organization’s strongest advocates and supporters. In this free webinar, copywriter and communications expert Marlene Oliveira will discuss what it takes to go from simply producing content to getting results as a strategic content marketer. The wide the range of potential content marketing tactics (that you might already be delivering). How to assess your current content creation. How to move toward creating content that attracts new audiences and resonates with existing audiences. In December 2013, the US Office of Management and Budget (OMB) issued comprehensive grant reform rules titled “Uniform Administrative Requirements, Cost Principles, and Audit Requirements for Federal Awards.” The new requirements consolidate what was previously in eight separate OMB Circulars into a single new document. This consolidation resulted in various areas of change to the previous requirements. The final guidance supersedes OMB Circulars A-21, A-50, A-87, A-89, A-102, A-110, A-122, and A-133.In this session we will review the important changes impacting grant and contract-funded nonprofits and strategies for compliance.